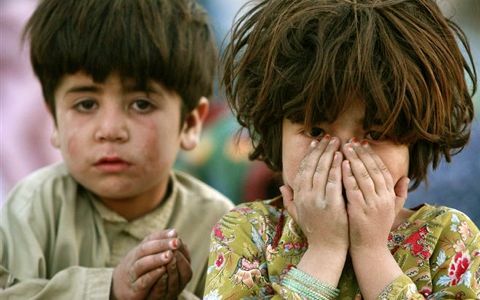 WAM, Pakistan — Children begged for food from trucks passing through Pakistan's quake zone Thursday as the death toll rose to 215 and survivors prepared for another frigid night camped out amid wrecked mountain villages. 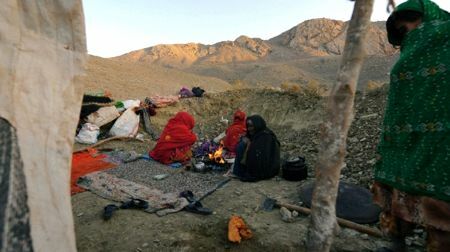 Soldiers and foreign aid groups distributed blankets, warm clothes and tents, in Baluchistan province, near the Afghan border, but many among the estimated 15,000 homeless complained of receiving little help. 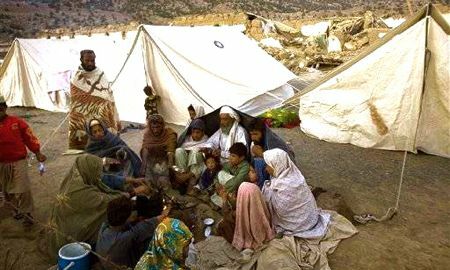 "The earthquake destroyed our houses, but now the government's slow response is killing us," said Moosa Kaleem, sitting with his wife and four children in the town of Ziarat. "We cannot spend another night in this chilling weather, especially the kids." 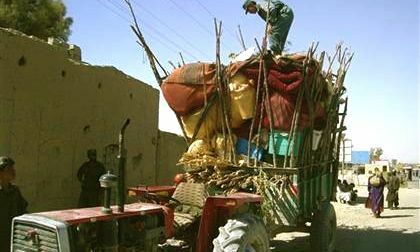 A poorly managed aid effort in Baluchistan could add to anti-government sentiment as the country's new leaders battle violence by Islamist extremists and try to fix mounting economic problems. 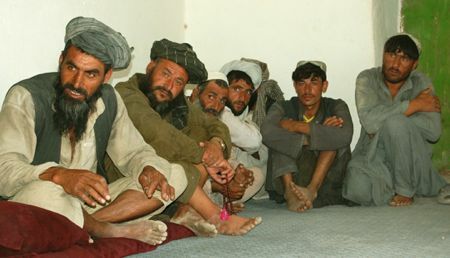 The region is home to a separatist movement but has been spared the level of militant influence and violence seen in other tribal areas along the Afghan border. 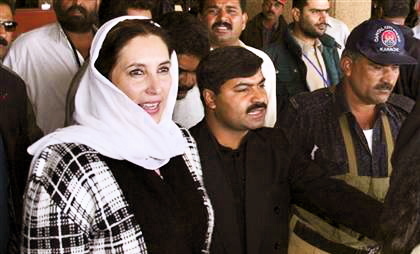 Members of hard-line Islamist political parties and groups, including one listed by the United States as a terrorist organization, were among the first to aid quake victims. 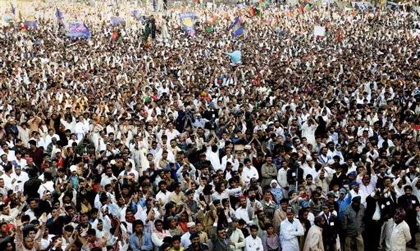 The same groups helped out in the aftermath of a quake that killed 80,000 people in Kashmir and northern Pakistan in 2005, something analysts say gave them added legitimacy. 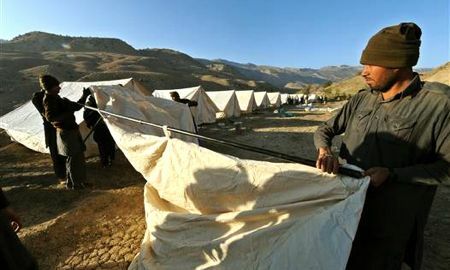 Aid groups said emergency shelter and warm clothing were urgently needed. 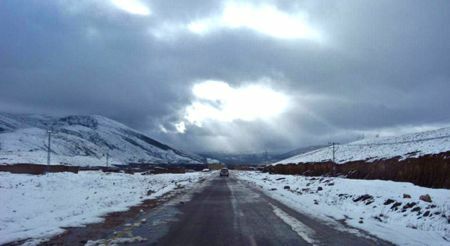 Temperatures are close to freezing in the worst-affected areas more than 6,561 feet above sea level. Dozens of children lined main roads in the region running after trucks in the hope of being thrown food. "I am hungry, my mother is hungry," said 9-year-old Zarin Gull. "We must get food. We last ate yesterday evening." 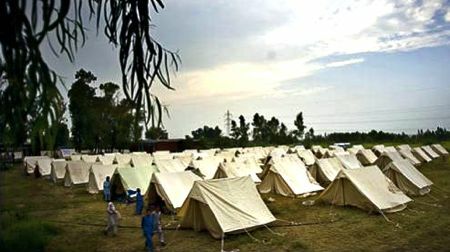 The need for shelter was specially acute because many people, whose homes were untouched or only partially damaged, were choosing to sleep outdoors for fear of aftershocks. Local officials and lawmakers repeatedly called on the central government and international community to provide more help. 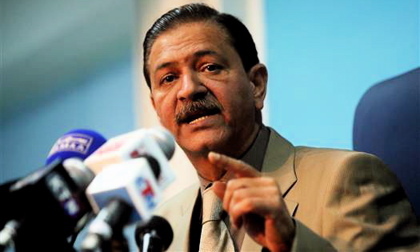 Provincial government minister Zamrak Khan said 215 people died and hospitals were still treating dozens of people who were seriously injured in the 6.4-magnitude quake that struck before dawn Wednesday. "It is a complete emergency here. 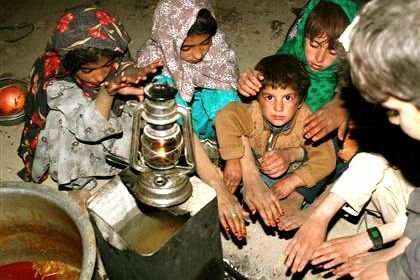 Nobody has anything to eat and drink," said Ziarat Mayor Dilawar Kakar. "We need a lot of resources to reconstruct, and stabilize these trauma stricken people." The U.N. World Food Program pledged to supply two months worth of emergency rations for those displaced by the disaster, while the Red Cross was distributing 2,500 tents. 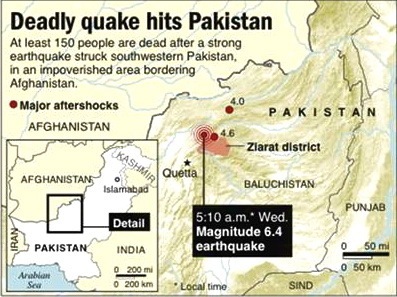 Baluchistan's capital, Quetta, was devastated by a 7.5-magnitude temblor in 1935 that killed more than 30,000 people. Countries including the United States and Germany have offered to help with the latest disaster. However, officials say they can cope without a big international aid effort. 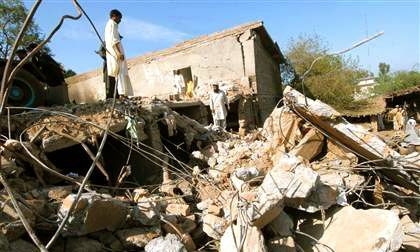 M-6.4 earthquake shakes southwestern Pakistan, killing at least 150 people and leaving thousands homeless. Msnbc.com's Dara Brown reports. 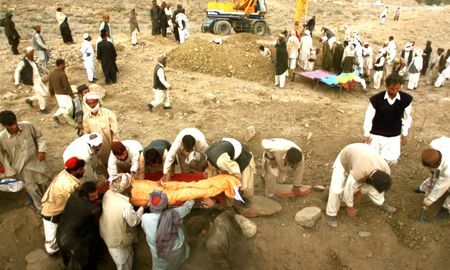 QUETTA, Pakistan — A powerful earthquake struck southwestern Pakistan before dawn Wednesday, killing at least 170 people as they slept and obliterating hundreds of fragile mud-and-timber homes, officials said. 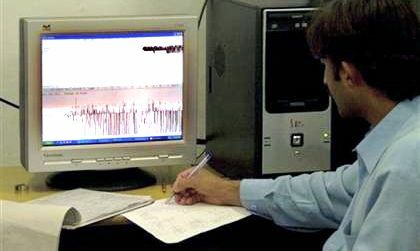 The quake struck two hours before dawn and had a preliminary magnitude of 6.4, the U.S. Geological Survey reported. 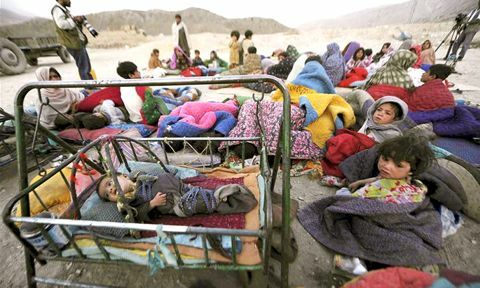 WAM, Pakistan — The death toll from the earthquake that devastated an impoverished valley in southwestern Pakistan rose to 215 on Thursday, as authorities scrambled to help survivors sleeping rough in the frigid mountains. 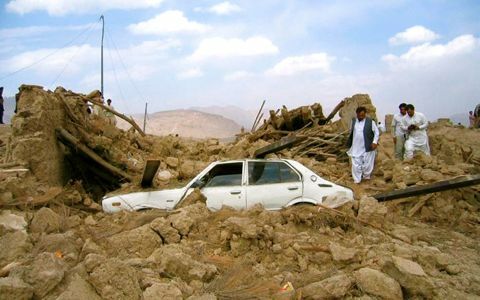 The quake hit Baluchistan province near the Afghan frontier before dawn on Wednesday, demolishing an estimated 2,000 homes in a string of villages. 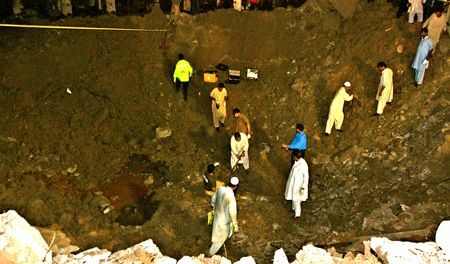 The epicenter was a shallow 10 miles below the surface and was centered about 400 miles southwest of the capital, Islamabad. 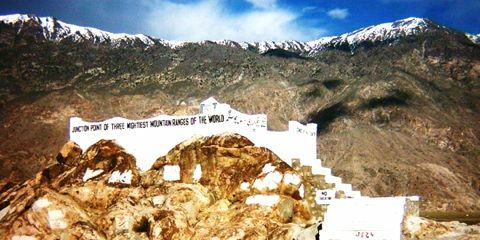 The worst-hit area appeared to be Ziarat, where hundreds of houses were destroyed in five villages, Mayor Dilawar Kakar said. Some homes were buried in a quake-triggered landslide, he said. Officials said the area hit on Wednesday was much less densely populated. 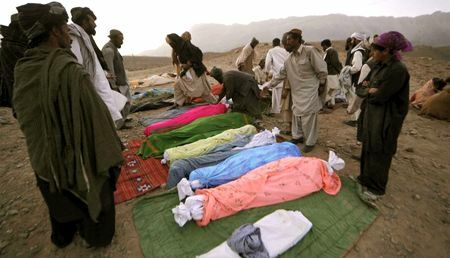 The death toll was expected to rise as reports arrived from remote areas of Baluchistan, the impoverished province bordering Afghanistan where the magnitude 6.4 quake struck. "There is great destruction. 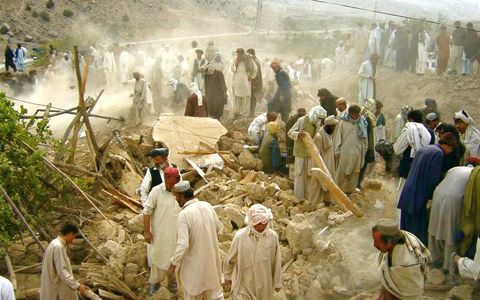 Not a single house is intact," Dilawar Kakar, the Mayor of the hardest-hit area Ziarat, told Express News television. 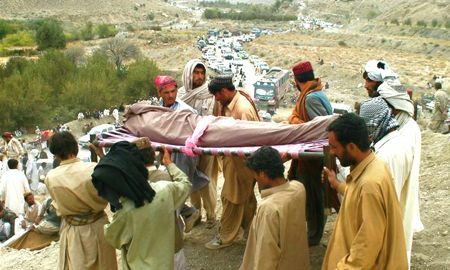 Maulana Abdul Samad, the minister for forests in Baluchistan, said at least 175 people were confirmed to have died. 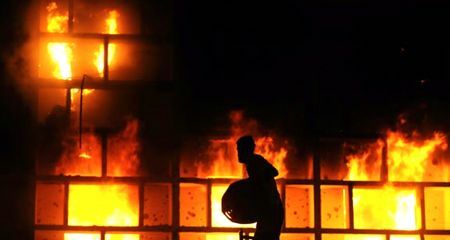 Kakar said hundreds of people had been injured and some 15,000 made homeless. "I would like to appeal to the whole world for help. We need food, we need medicine. 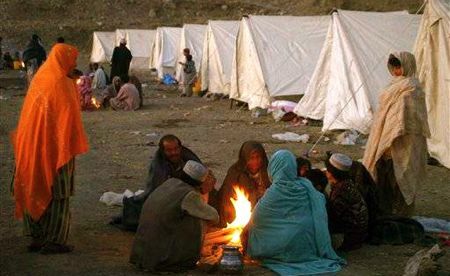 People need warm clothes, blankets because it is cold here," Kakar said. 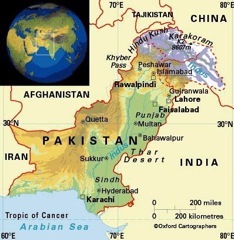 The epicenter of the quake was about 400 miles southwest of the capital, Islamabad. Officials said the area hit on Wednesday was much less densely populated. With roads blocked by landslides, officials said the army was ferrying troops and medical teams on four helicopters to villages in the quake zone and airlifting a field hospital as well as thousands of tents and blankets to the area. 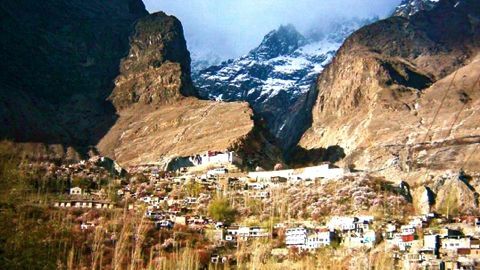 Pakistan is prone to seismic upheavals since it sits atop an area of collision between the Eurasian and Indian tectonic plates, the same force responsible for the birth of the Himalayan mountains. 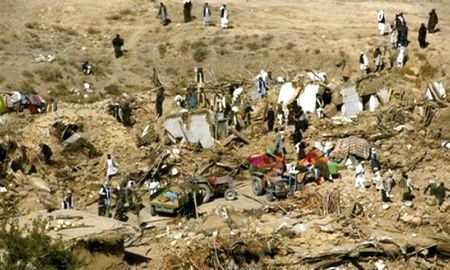 Baluchistan's capital, Quetta, was devastated by a 7.5-magnitude temblor in 1935 that killed more than 30,000 people. 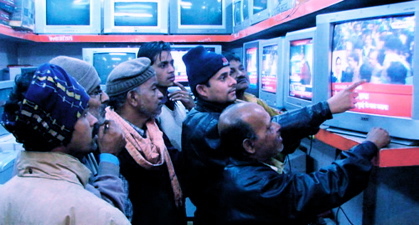 Wednesday's quake was the deadliest since a magnitude-7.6 quake devastated Kashmir and northern Pakistan in October 2005, killing about 80,000 people and leaving hundreds of thousands homeless. In the village of Sohi, a reporter for AP Television News saw the bodies of 17 people killed in one collapsed house and 12 from another. 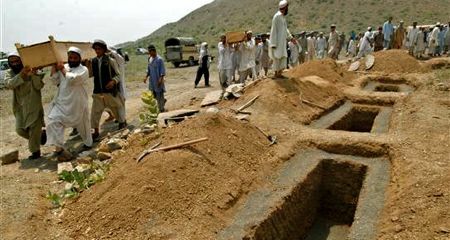 Distraught residents were digging a mass grave. "We can't dig separate graves for each of them, as the number of deaths is high and still people are searching in the rubble" of many other homes, said Shamsullah Khan, a village elder. 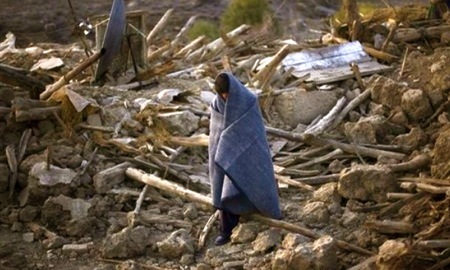 Other survivors sat stunned in the open, with little more than the clothes in which they had been sleeping. 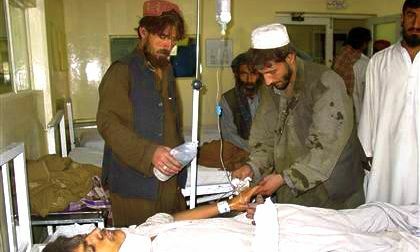 Hospitals were flooded with dead and injured. One patient at Quetta Civil Hospital, Raz Mohammed, said he was awakened by the sound of his children crying before he felt a jolt. "I rushed toward them but the roof of my own room collapsed and the main iron support hit me," he said. "That thing broke my back and I am in severe pain, but thank God my children and relatives are safe." 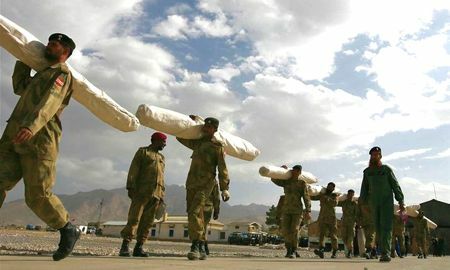 In the moutanous terrain of Bulchistan with roads blocked by landslides, officials said the army was ferrying troops and medical teams on four helicopters to villages in the quake zone and airlifting a field hospital as well as thousands of tents and blankets to the area. German Foreign Minister Frank-Walter Steinmeier said his country was offering $310,000 in immediate aid, but the head of Pakistan's National Disaster Management Authority said an international relief effort was not needed. 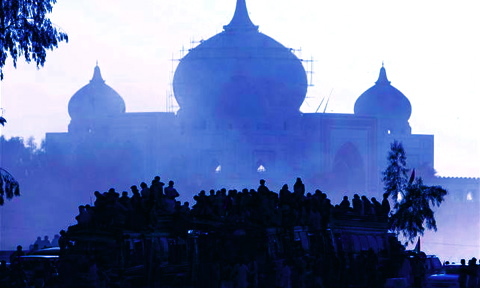 "God has been kind, it has been a localized affair," said Farooq Ahmad Khan. "I think we can manage it." 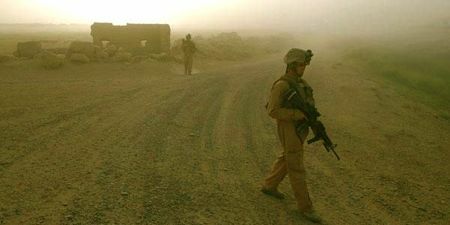 Continued from the previous issue — The army says it faced stiff resistance near Loi Sam from Taliban militants reinforced by foreign fighters, including some from Afghanistan. 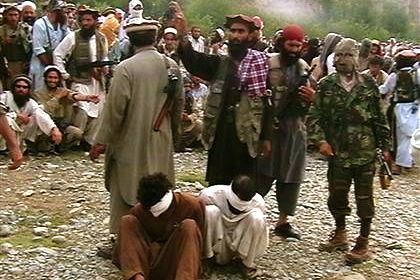 Maj. Gen. Tariq Khan, who commands a paramilitary force, said it could still take six months to a year to gain complete control of Bajur. 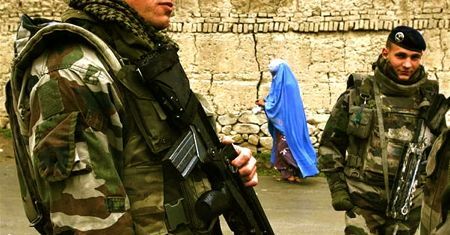 Violence and government restrictions have made it virtually impossible to verify accounts of the fighting. 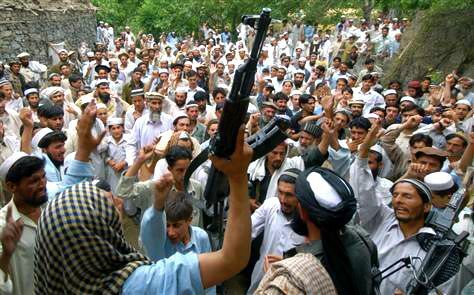 Khan said 1,500 suspected militants died in the operation along with 73 army soldiers and 95 civilians. 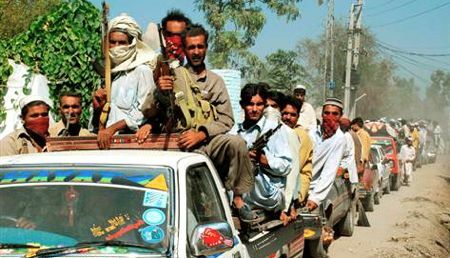 The region has been seen as a possible hiding place for al-Qaida leader Osama bin Laden and his deputy, Ayman al-Zawahri, but Khan said the troops had not picked up their trail. 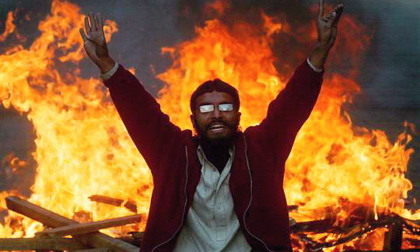 Khan's count of 95 civilian deaths was the first official estimate noncombatants killed in the fighting. He didn't say whether they were killed by militants or troops. 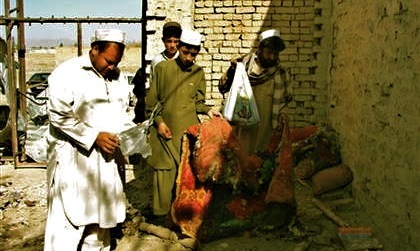 Though officials have acknowledged that artillery and airstrikes have devastated many residential areas. 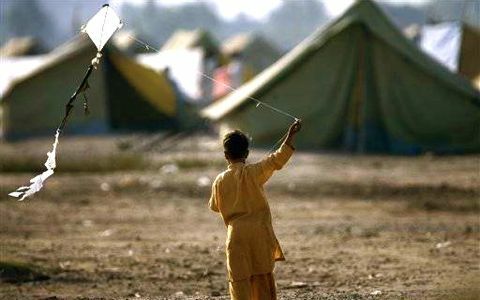 Nearly 200,000 people have fled the fighting, many of them to rough camps in Pakistan and Afghanistan. Reporters driven from Khar, the region's main town, to Loi Sam Saturday saw devastated residential compounds. Some of them connected by militant tunnels, lining both sides of the road. In Loi Sam itself, hardly a building had escaped. Houses, shops and gas stations were badly damaged or destroyed. The only people on the debris-strewn streets were soldiers. Abbas said victims would be compensated for the loss of their homes, crops and the animals dying untended in the fields. 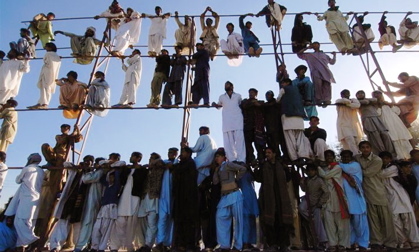 Pakistan's government has promised to flood the border area with development work, much of it funded by Washington, to combat the misery and ignorance in which religious extremism has thrived. 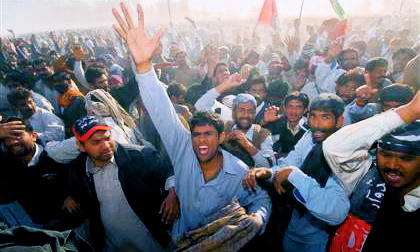 Observers say Pakistani authorities and their Western backers have failed to keep such promises in the past, breeding distrust of the government in a region where it has never had control. 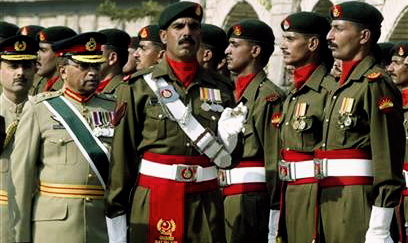 The aftermath will also test Pakistan's revamped counterinsurgency policy. 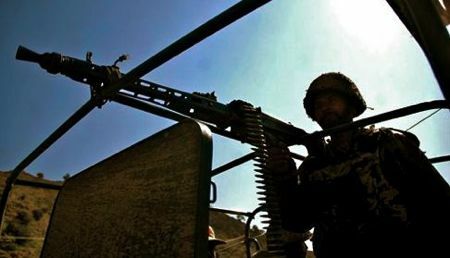 U.S. troops arrived in Pakistan this month to provide training to the paramilitary Frontier Corps in an attempt to transform it into the main fighting force along the border. 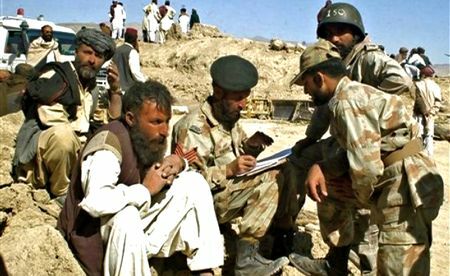 Officials hope the Frontier Corps, recruited from the Pashtun tribes that straddle the border, will prove more effective in preventing militants from resurfacing than the regular army, dominated by ethnic Punjabis and viewed as occupiers in the border zone. LOI SAM, Pakistan — A two-month offensive by Pakistani forces has driven militants from a stronghold through which Taliban and al-Qaida fighters had poured into neighboring Afghanistan to attack U.S. troops, the army said Saturday. 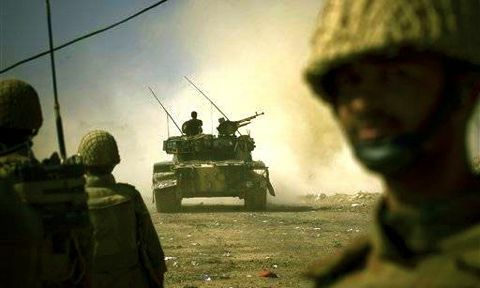 "Now we have complete control in this area from where miscreants used to go to Afghanistan, Mohmand, Dir and Swat," army spokesman Maj. Gen. Athar Abbas told reporters flown in to Bajur by military helicopter. "Miscreants have been expelled or killed." 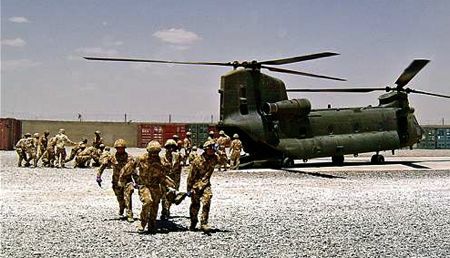 U.S. officials worried about record fatalities among their forces in Afghanistan have praised the operation and said it was helping reduce violence on the Afghan side. 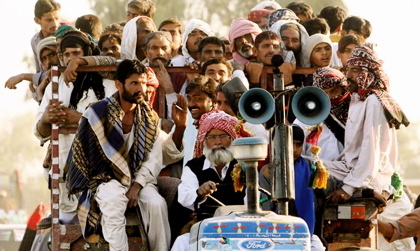 But the Americans have not halted missile strikes on suspected militants hide-outs in other parts of Pakistan's wild border region, despite Islamabad's protests that the attacks violate its sovereignty. 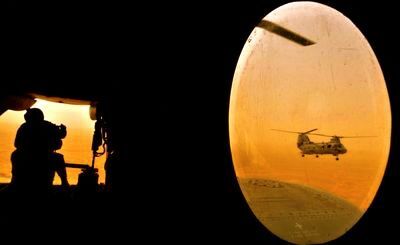 ISLAMABAD, Pakistan — U.S. helicopters flew into Pakistan's militant-infested border region, but returned to Afghanistan after troops and tribesmen opened fire, intelligence officials said Monday. 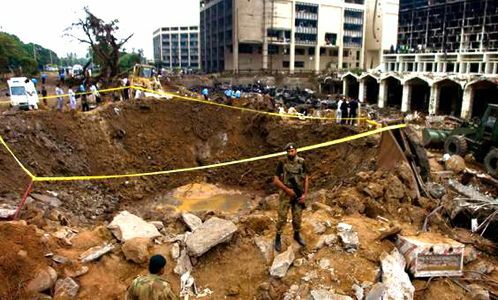 The U.S. denied Monday there was any incursion but the reports threatened new rifts between Washington and its key anti-terror ally days after a truck bomb killed 53 people at a luxury hotel in Islamabad. 1. 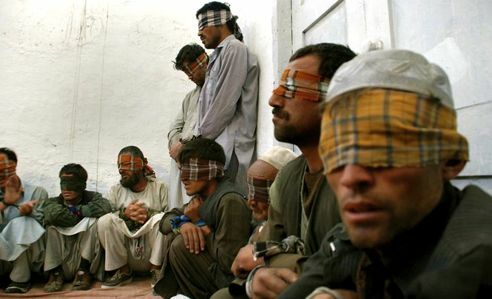 Lawless border region —"Talibanistan"
Nuclear-armed Pakistan is under growing U.S. pressure to act against al-Qaida and Taliban insurgents sheltering in its border region and blamed for rising attacks on coalition troops in Afghanistan as well as suicide bombings in Pakistan. 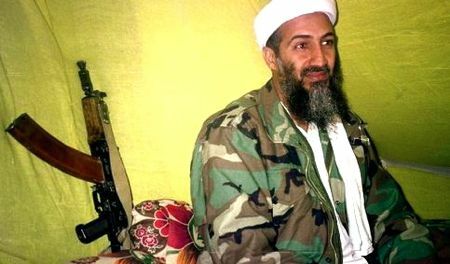 U.S. officials believe that al-Qaida's leaders, including Osama bin Laden, are believed to be hiding somewhere along the border. 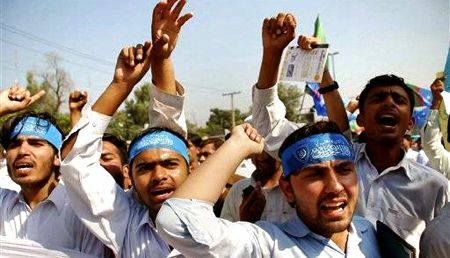 Nuclear-armed Pakistan is under growing U.S. pressure to act against al-Qaida and Taliban insurgents sheltering in its border region, who have been blamed for rising attacks on coalition troops in Afghanistan as well as suicide bombings in Pakistan. U.S. officials believe that al-Qaida's leaders, including Osama bin Laden, are believed to be hiding somewhere along the border. 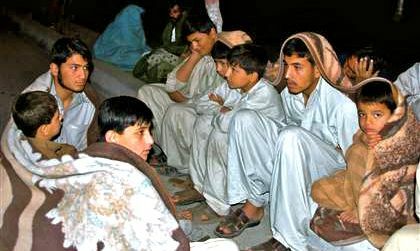 A spate of suspected U.S. missile strikes into the lawless border region and a Sept. 3 raid by U.S. commandos said to have killed 15 people have highlighted U.S. impatience and outrageed many Pakistanis. 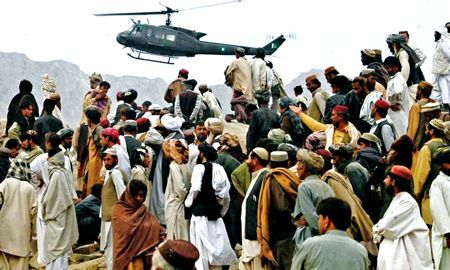 In the latest such alleged breach, two U.S. helicopters crossed one mile (two kilometers) late Sunday into Pakistan in the Alwara Mandi area in North Waziristan, two intelligence officials said on condition of anonymity. 4. U.S. helicopters violated the border? 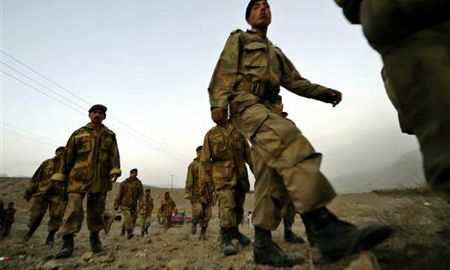 The helicopters violated the border in the area of Lowara Mandi, 80 km west of Miranshah, the main town in the North Waziristan tribal region, at around 9:00 p.m. on Sunday, the official said, speaking on condition of anonymity. There was no official confirmation. 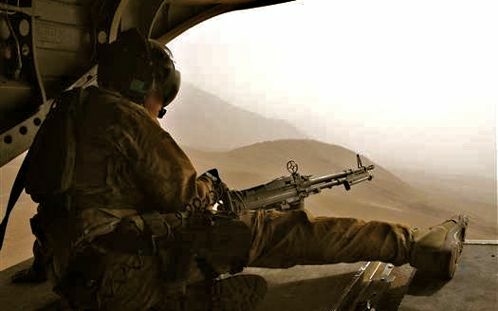 "We don't have any information on border violation by the American helicopters," Major Murad Khan, a military spokesman, said. 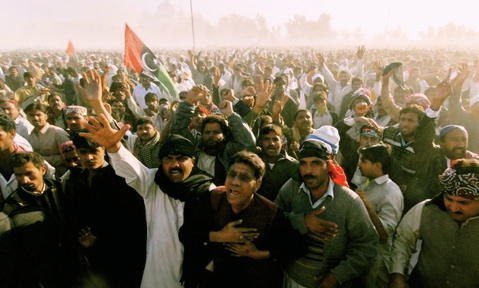 Pakistanis were outraged by the incursion and the six-month-old civilian government issued a diplomatic protest. 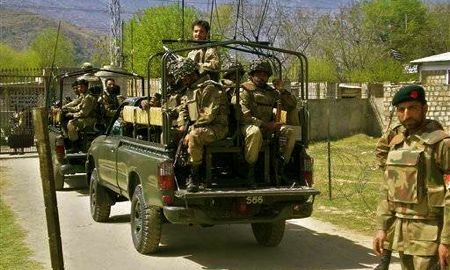 It was the first overt incursion by U.S. ground troops into Pakistani territory, though the U.S. military has conducted numerous missile strikes against al-Qaida and Taliban targets in Pakistan's tribal lands. Citing informants in the field, they said Pakistani troops and tribesmen responded with small arms fire, but it was not clear whether the bullets were aimed at the choppers or were warning shots.The helicopters did not return fire and re-entered Afghan airspace without landing, the officials said. That account was denied by Pentagon officials. "There was no such incursion, there was no such event," said Defense Department spokesman Col. Gary L. Keck. 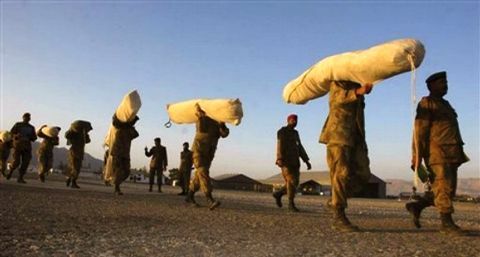 Pakistan's army said it had no information on the reported incursion across the poorly demarcated border. 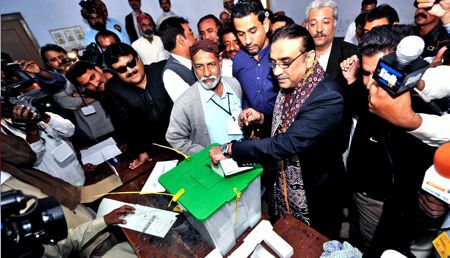 Pakistan's military chief and newly elected President Asif Ali Zardari have said the missile strikes and incursions were violations of the country's sovereignty and only fueled extremist violence. 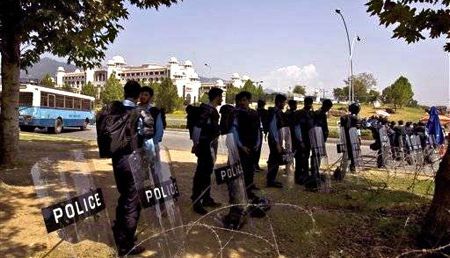 The largest suicide-bomb attack, blasted Marriott hotel compound in Islamabad on Sunday night, prompted foreign diplomatic missions and aid groups in Pakistan to review their security status. 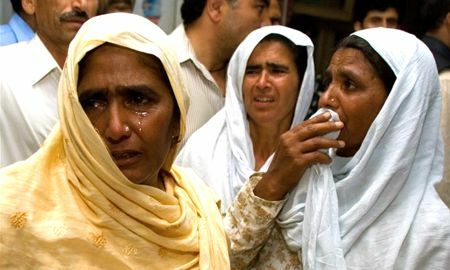 But most of the victims were Pakistanis, a fact likely to increase pressure on the government to stem the rising violence in the Muslim nation that many blame on the country's partnership with the U.S. in the war on terror. Some 270 people were wounded in the Saturday night attack on the heavily guarded Marriott hotel in the capital Islamabad, while the dead included the Czech ambassador and two U.S. Department of Defense employees. Most of the victims were Pakistanis, a fact that could bolster government efforts to present the struggle against the militants as its own battle, not one foisted upon it by Washington as many here think. Late Monday, Dubai-based TV channel Al-Arabiya said it had received a tape from a shadowy group calling itself "Fedayeen Al-Islam" — Arabic for "Islam commandos" — claiming responsibility for Saturday's bombing at the Marriott hotel in Islamabad and calling on Pakistan to end cooperation with the United States. 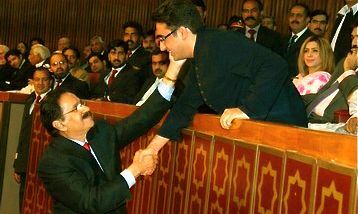 Zardari, who is expected to meet U.S. President George W. Bush in New York on the sidelines of the U.N. General Assembly this week, reiterated that he welcomed U.S. intelligence help, but not its troops. "Give us the intelligence and we will do the job," he said in an interview with NBC television. "It's better done by our forces than yours." 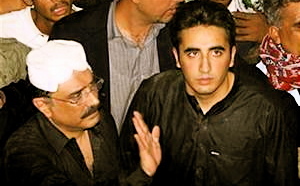 Pakistan's new president Asif Ali Zardari talks after the massive bomb attack on Marriott. 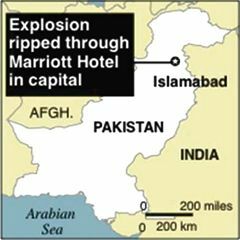 ISLAMABAD, Pakistan — A huge suicide truck bomb devastated the heavily guarded Marriott Hotel in Pakistan's capital Saturday, killing at least 40 people and engulfing the building in flames in a sickening reminder of the threat in a country vital to the U.S.-led war on terror. 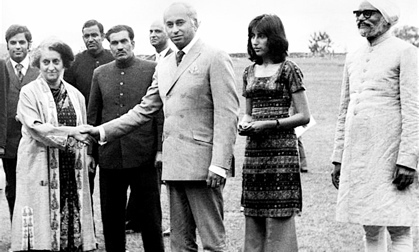 The five-floor Marriott has been a favorite place for foreigners as well as Pakistani politicians and business people to stay and socialize in Islamabad despite repeated militant attacks. 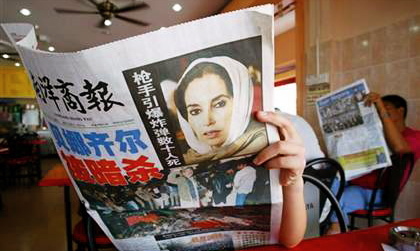 It served as the de facto back office for the international media during the 2001 war against the Taliban in neighboring Afghanistan. Also other information of local TV reported the casualties may surpass 60. Two hospitals said 10 foreigners were among those in their treatment, including one each from Germany, Saudi Arabia, Morocco and Afghanistan. Officials said at least 250 people were injured, NBC News reported. Also other information of local TV reported the casualties may surpass 60. 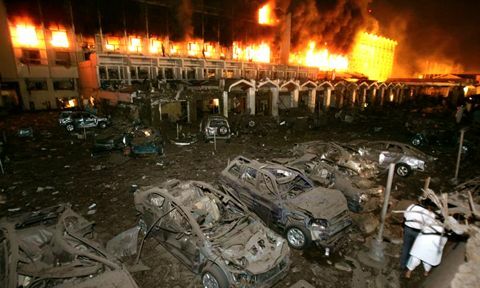 Witnesses spoke of a smaller blast followed by a much larger one. The blast was so distractive that the building windows in miles away were shattered. 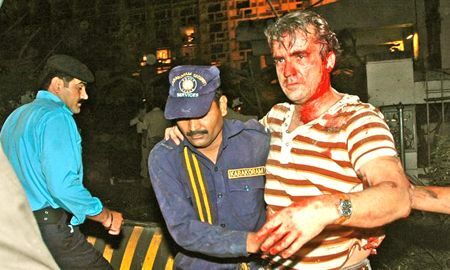 Witnesses and officials said a large truck had rammed the high metal gate of the hotel at about 8 p.m., when the restaurants would have been packed with dinners, including Muslims breaking the Ramadan fast. Senior police official Asghar Raza Gardaizi said rescuers had counted at least 40 bodies at the scene and he feared that there "dozens more dead inside." 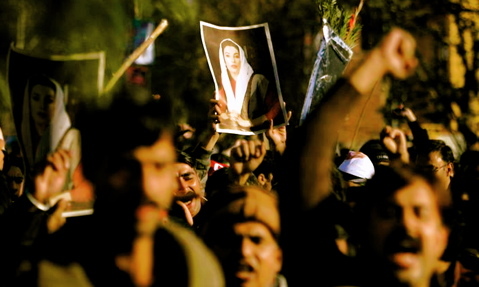 Associated Press reporters saw at least nine bodies scattered at the scene. 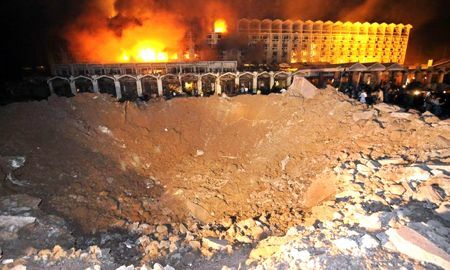 The blast left a vast crater, some 30 feet deep in front of the main building, where flames poured from the windows and rescuers ferried a stream of bloodied bodies from the gutted building. 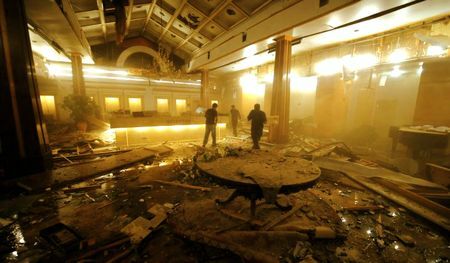 More were feared trapped inside the hotel as crews tried to extinguish flames from the blast. U.S. Embassy officials were trying to account for embassy staff and any other Americans affected. 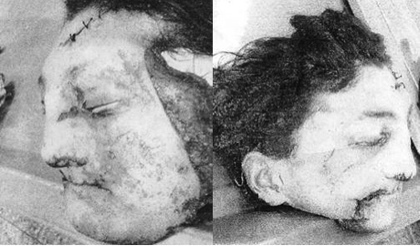 Scores of people, including foreigners, were running out — some of them stained with blood. A U.S. State Department official led three colleagues through the rubble from the charred building, one of them bleeding heavily from a wound on the side of his head. 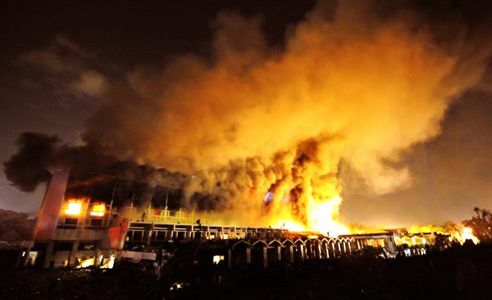 One of the four, who identified himself only as Tony, said they had begun moving toward the rear of the Chinese restaurant after the first blast when the second one threw them against the back wall. "Then we saw a big truck coming to the gates," he said. "After that it was just smoke and darkness." Ambulances rushed to the area, picking their way through the charred carcasses of vehicles that had been in the street outside. 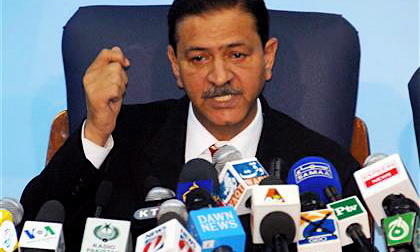 Senior police official Asghar Raza Gardaizi said the blast, which reverberated throughout Islamabad, was caused by more than a ton of explosives. Mohammad Sultan, a hotel employee, said he was in the lobby when something exploded, he fell down and everything temporarily went dark. "I didn't understand what it was, but it was like the world is finished," he said. The White House condemned the attack, calling it a "reminder of the threat we all face." "The United States strongly condemns the terrorist attack that took place in Islamabad, Pakistan," said White House spokesman Gordon Johndroe. 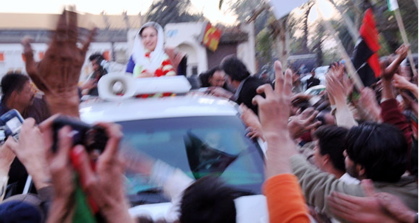 "The United States will stand with Pakistan's democratically elected government as they confront this challenge." A senior U.S. counter terrorism official told NBC News that while it is "too early" to say who is responsible for the attack in Islamabad, "the attack bears all the hallmarks of an attack by al- Qaida or al-Qaida associates" like the Taliban. "Al-Qaida has to be at the top of the list," said the official, noting the sophistication of the attack and the large volume of explosives used in it. "There are no claims we are aware of it," he added, but suggested it would not be long before there will be one. There was no immediate claim of responsibility for the blast. 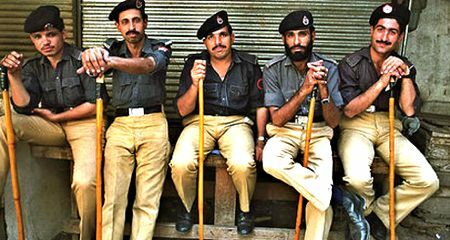 But Pakistan has faced a wave of militant violence in recent weeks following army-led offensives against insurgents in its border regions. 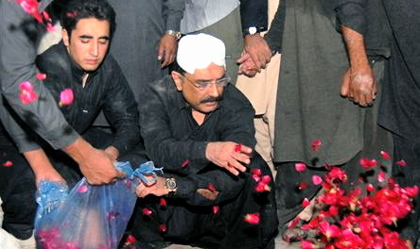 The capital has not been spared from recent clashes, though Saturday's blast appeared to be one of the largest ever terrorist attacks in the country. 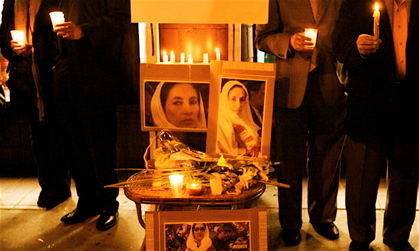 In June, a suicide car bomber killed at least six people near the Danish Embassy in Islamabad. In July, a suicide bombing killed at least 18 people, most of them security forces, and wounded dozens in Islamabad as supporters of the Red Mosque gathered nearby to mark the anniversary of the military siege on the militant stronghold. 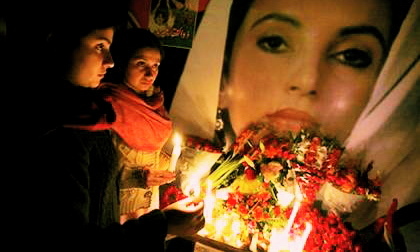 In June, a suicide car bomber killed at least six people near the Danish Embassy in Islamabad. A statement attributed to al-Qaida took responsibility for that blast, believed to have targeted Denmark over the publication of cartoons depicting the Prophet Muhammad. In mid-March, a bomb explosion at an Italian restaurant killed a Turkish woman in the capital, and wounded 12 others, including four FBI officials.